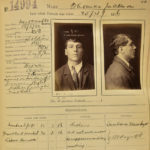 John Coleman Kain, 1916, NRS 2467, Photographic Description Book, State Penitentiary. DIGITAL ID 2467_a006_a00603_6092000187r. 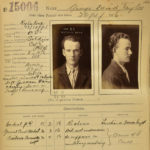 George David Taylor, 1916, NRS 2467, Photographic Description Book, State Penitentiary. DIGITAL ID 2467_a006_a00603_6092000186r. 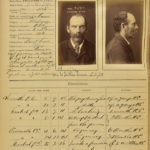 Herbert Edward Wilson Anderson, 1916, NRS 2467, Photographic Description Book, State Penitentiary. DIGITAL ID 2467_a006_a00603_6092000185r. 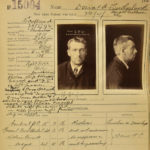 Donald Sutherland, 1916, NRS 2467, Photographic Description Book, State Penitentiary. DIGITAL ID 2467_a006_a00603_6092000184r. 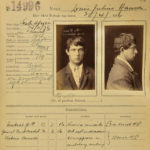 John Thomas, 1916, NRS 2467, Photographic Description Book, State Penitentiary. DIGITAL ID 2467_a006_a00603_6092000179r. 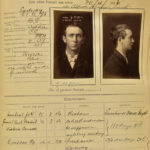 James Angus MacGregor, 1916, NRS 2467, Photographic Description Book, State Penitentiary. DIGITAL ID 2467_a006_a00603_6092000178r. 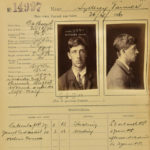 Sydney Tanner, 1916, NRS 2467, Photographic Description Book, State Penitentiary. DIGITAL ID 2467_a006_a00603_6092000177r. 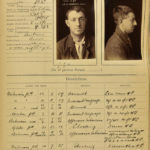 Louis Julius Hansen, 1916, NRS 2467, Photographic Description Book, State Penitentiary. DIGITAL ID 2467_a006_a00603_6092000176r. 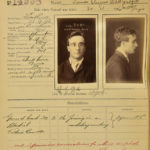 Alfred Smith, 1916, NRS 2467, Photographic Description Book, State Penitentiary. DIGITAL ID 2467_a006_a00603_6092000175r. 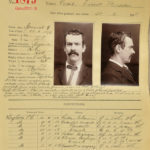 Thomas Jackson, 1916, NRS 2467, Photographic Description Book, State Penitentiary. DIGITAL ID 2467_a006_a00603_6092000174r. 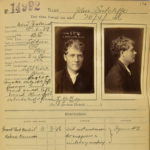 John Sutcliffe, 1916, NRS 2467, Photographic Description Book, State Penitentiary. DIGITAL ID 2467_a006_a00603_6092000172r. 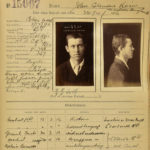 Cecil Ernest Madden, 1905, NRS 2232, Goulburn Photo Description Book. DIGITAL ID 2232_a006_a00619_17286000265r.